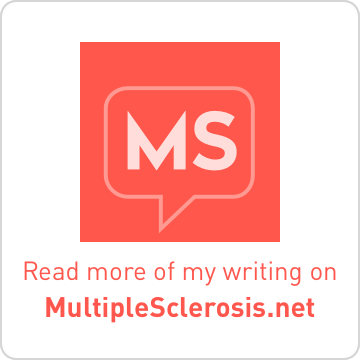 Yesterday, I took the time to summarize the many news releases and articles surrounding Tysabri which is a disease-modifying drug for MS administered by IV every four weeks. Also, the NMSS compiled relevant information which is printed below. According to information released yesterday by Biogen Idec, there have been 24 confirmed cases of progressive multifocal leukoencephalopathy (PML, a viral infection of the brain that usually leads to death or severe disability) among people who have used Tysabri® (natalizumab, Biogen Idec and Elan Pharmaceuticals) after it became available for prescription in July 2006. As of the end of September 2009, 60,700 people have used Tysabri worldwide. Although the absolute risk for PML in patients treated with Tysabri cannot be precisely determined, the sponsor has now released data suggesting that the risk increases with increasing time on therapy, starting out lower than the one-in-one thousand level that was estimated at the time of Tysabri’s re-approval in 2006, and rising after two years of infusions to about one in one thousand. There is insufficient information to determine the risk of PML in those who have been on therapy for three years or more. Right now only 2,000 people have been on the therapy for over three years. This release followed an October 23 announcement from the EMEA, the European equivalent of the U.S. FDA, indicating that one of its advisory committees was launching a review of the risks and benefits of Tysabri in light of the increasing number of new cases of PML. If individuals taking Tysabri experience new, unusual symptoms, they should contact their prescribing physician immediately. Physicians who need guidelines on the protocol to follow when they have a patient on Tysabri who experiences unusual symptoms should contact Biogen Idec. Details of Cases: According to the company, the 24 cases of PML have occurred in both men and women who had been given infusions of Tysabri every four weeks for a duration ranging from one year to three and a half years, with an average of two years. The degree of disability in the 20 survivors is a wide spectrum: at the milder end, some have recovered enough to return to work, and at the other extreme, some are confined to bed, requiring extensive assistance with activities of daily living, and others were in between this range. Further details of their condition were not provided. It appears that when PML is detected and treated early, it generally improves outcomes. It is important that individuals taking this drug and their doctors be vigilant in monitoring for any occurrence of new, unusual symptoms that might indicate PML. Based on these cases, the sponsor stressed that, contrary to prior information, the presence of gadolinium-enhancing lesions on MRI does not exclude the possibility of PML. Likewise, the absence of JC virus DNA in the spinal fluid does not exclude PML. There has been no characteristic among those who have developed PML that would give substantial clues to who might be more likely to develop it, except that half of the cases had prior histories of having been on immunosuppresive therapies, such as mitoxantrone, and less commonly, azathioprine and methotrexate. Right now there is no test that can predict who is more likely at risk for developing PML while using Tysabri; in a large company-sponsored study, testing of blood cells, plasma, serum and urine for the causative JC virus in people before and after 48 weeks of Tysabri therapy (Rudick et al, ECTRIMS 2009) did not show any differences in the presence of the virus in those fluids. The results of these studies, performed at the U.S. National Instituties of Health, differ somewhat from an earlier study (N. Engl. J. Med. 361:1067, 2009) suggesting higher virus levels after treatment. When PML was suspected, Tysabri infusions were halted. There is no specific therapy to treat PML, but the best hope is to reconstitute a person’s immune responses. In most of the 24 cases, once PML was confirmed, Tysabri was removed from their systems with the blood-cleansing treatments of either plasma exchange or immunoadsorption. During the aftermath of PML, as the immune system begins to recover, a condition called IRIS (immune reconstitution inflammatory syndrome) usually occurs about 4 weeks after the removal of Tysabri from the system. The sponsors suggested that some of the treating physicians found that prompt use of intravenous steroids to treat this brain inflammation led to improvement. The FDA provides post-marketing safety warnings on Tysabri at this link, although the updated information above is not currently provided. "From July 2006, (when Tysabri marketing resumed) to September 8, 2009, 13 reported cases of Tysabri-related PML were confirmed worldwide in patients being treated for MS with Tysabri monotherapy. Of these, four cases were patients in the United States"
- have another 11 cases occurred in the space of the last six weeks? Hi, yes it is a bit confusing. The additional cases have been reported in Europe since the FDA website was last updated. Biogen stopped making public announcements in July and there is speculation as so why so many cases have been reported recently. One thought is that the delay was due to holiday periods in Europe. Another theory is that now that the EMEA has increased their survalance that more cases are being recognized and reported. I would have to go scrutinize any conference calls which Biogen/Elan have held during this time period to put a timeline on it. There's not a simple chart (unfortunately). Also the fact the as time goes on, there will be more and more patients reaching 24+ infusions. 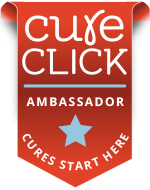 I wish that I knew more, but most of the recent stuff I read is linked from in the post at HealthCentral. I had not even been watching Tysabri much lately until earlier this week. Hope that helps, although it's still surprising. I am not surprised. Any data on people 20 yrs on the drug and their state of disability compared to using no drugs or, say, Copaxone? All drugs carry risks, one must weigh how much they need/want a promised outcome. And, of course data only includes those with RR MS. MS drugs must give the FDA a giant headache. I don't know how they do it. I used to follow MS drug data, but it became so absurd and mystical, I felt I was following a myth. Every time I hear news like this I am reminded of how I was discouraged from resuming Tysabri by the head of the neurology/MS department of a major university. He looked into my eyes and quietly said, "Please don't. They don't know enough about it." I had my 30th Tysabri infusion last week and have not had a relapse or need for steriod treatment in more than two years. One characteristic among all who have developed PML is an IGG Subclass Deficiency. I don't know much about this but took the blood test Wednesday and will get the results on Tuesday next week. This should serve as another marker when assessing risk. Diane, it's tough when most of the data which is published was really gathered with the intent on getting the drugs FDA approved in the first place. It would be great to see long-term data comparing those who never used drugs and those who have. Actually, some of that data might be anecdotal, coming from the MS professionals. My neurologist and MS nurse have been in this business for several decades. In fact, my MS nurse just retired this summer after a long career in the field. :( I have to believe her when she says that the outcome for patients has changed dramatically over the decades. In fact, she had patients on Tysabri before it was pulled and even a few who participated in trials before that. She saw how much the patients really enjoyed the benefits. After the drug came back on the market in 2006, they didn't do those infusions in the office for quite awhile because of the uncertain risk. But now they have a group of patients who come in monthly. I met and spoke with a couple while I was getting my Solumedrol drips this summer (8 days total for me). Very positive experiences for them. I'd consider Tysabri, but I'm not a candidate due to an already suppressed immune system because of methotrexate. It's such a personal choice and we each have to place faith in our own thoughts and opinions as well as those of our doctors. My neurologist doesn't recommend Tysabri for everybody but I asked him last September if he had considered taking anybody off. His answer: NO. What do you do now, Judy? That is so awesome to hear. Very glad that you are doing so well. And thanks for mentioning the IGG test. It would be wonderful to get a better, or more specific, idea of who is a good candidate and who is not. 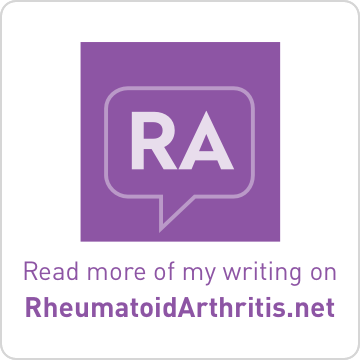 It is from reading knowledgeable bloggers and forum participants where I learned that previous (and/or concurrent) use of strong immunosuppressants was associated with the patients who developed PML. This is why I know that I'm not a good candidate. I believe that the American woman who died late last year was also an RA/MS patient who had used methotrexate.....just like me. I also like having access to this type of information. I hope that we learn more about these more recent cases. Lisa, you asked me what I do. After redoing my MRI and discussions with my doctor, an MS specialist, we have mutually decided to just have me continue taking 4-aminopyridine and to continue with the mix of complementary therapies I do. These include a number of supplements, a nutritional juice, and pharmaceutical-grade essential oils. I also meditate, do creative visualization, and see a psychologist. I think the mental health component of this is just as important as any disease-modulating therapies. I eat organic food when I can and avoid processed foods. I’ve tested for food allergies and eat accordingly. I exercise daily. I tailor my daily activities to avoid having my fatigue reach a tipping point. I have reduced my chemical load by living near the ocean, stripping my house of carpets, and using nontoxic personal and household cleaning products. My MRI shows no inflammation. I have not had a relapse in five years, and that came on the heels of crushing stress resulting from three family deaths, husband’s cancer, and three hurricanes in a period of a year and a half. Indeed many of my current neurological deficits stem from that relapse. More than anything, I believe in the amazing capability of one’s body to heal if given the right circumstances. I endeavor to provide those circumstances. Judy, sounds like you are treating your MS (and life in general) from many different fronts....all positive. Good for you. Diane, I agree with you. Very interesting that I met an MSer at my physical therapist's office earlier in the year (maybe March?) who is also an MS researcher. He is a scientist, doing the type of research involving mice and myelin, who later developed MS himself. This particular MS patient happens to be one of those MSers who I ran across at the infusion center getting his monthly Tysabri drip. He was progressing quickly in the six months post-diagnosis so our neurologist switched him to Tysabri. We had a really good conversation focusing on research and different treatment theories. Interestingly, he began to do better with Tysabri treatment and had been on it for 7 months at the time I ran into him in July. BTW, folks. I'm really enjoying this conversation!! Thanks so much for chiming in. It is certainly frustrating to know where to place any credit (if credit really is due at all) when someone does well, or blame if someone is not doing well. 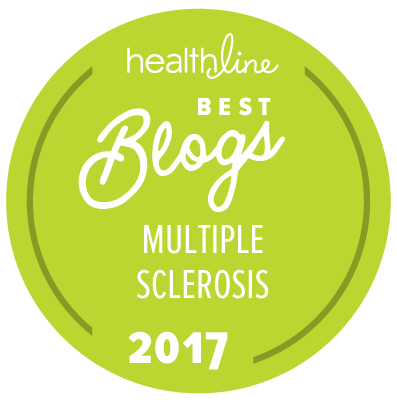 I was having a conversation recently with someone who was trying to better understand why MS patients were so fervent in their opinions on this. I explained this is was almost a 'damned if you do, damned if you don't' type of situation. No matter what, the disease progresses. Fact. The path along the way has little rhyme nor reason. Personally, I can't stand some of the stories which are used by some MSers to further their agenda. Example maybe this - I was blind and in a wheelchair at the age of 20 because of MS, blah, blah blah, but now I can hike 3 miles, run a successful business, and would like to teach you how to break free of the barriers to financial freedom. Stuff like that burns my hide. I probably should have been dx in 2000, but for various reasons I was not (one of which was lack of brain lesions and we left it at that). I still don't have the impressive brain lesions which some patients do, but yet I still have symptoms which come from brain involvement. Where do I fit on the "Diane's observational" scale? Personally, I think the majority of my remitting occurred before I was dx. I haven't been back to baseline since, but I'm still having relapses. Came by to say hello and wish you a good Halloween weekend. Thanks Lisa - can't help but think there seems to be something of a disjunct between the drug company's rhetoric about the TOUCH program/close monitoring (have you send the forms Tysabri patients have to sign off on before every infusion??) - but then in the other direction, reducing the information it considers in the public interest or even to patients about that close monitoring. PS Just noticed this comment from Oct 17 over on Trevis's blog on the 'Tysabri progress check' page from a relative of a patient who is being treated for PML and that actually mentions specifics of what the effects have been so far? - as compared to the pharma mentions of pml that only list things in terms of being alive or not. Or, as Ralf Gold, a well-respected neurologist in residence at Ruhr-University, located in Bochum, Germany, pointed out in a paper published in the New England Journal of Medicine: “new MS drugs unfortunately have new side effects that can sometimes be fatal. That said, Biogen seems to have gone out of its way to downplay link between duration of use & increased risk of developing PML: $$$? How much criticism do you read here of Biogen specifically? Pointing the risks of other biological drugs is an ineffective method of neutralizing the risk/benefit profile of Tysabri. Also, I have serious doubts to believe that David Phillips, writer for BNET, has been trolling the blogosphere just to leave canned comments such as this excerpt from one of his articles. An ineffective reputation management tactic on behalf of Biogen. If anything, it serves to fuel the fire of manipulated motives of persons spreading specific messages.